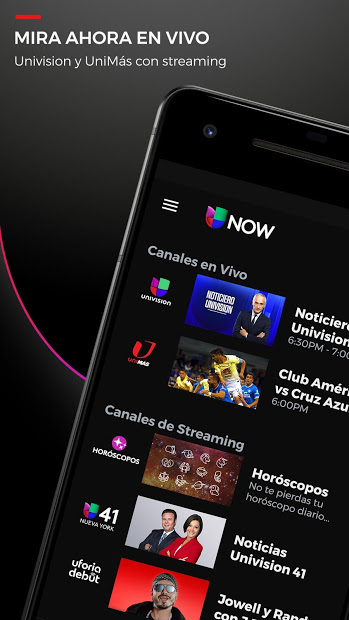 Thanks to the Univision NOW application, you will be able to watch high definition live broadcasts of your favorite Univision and UniMás channels, and have instant access to more than 9,000 hours of on-demand programming. 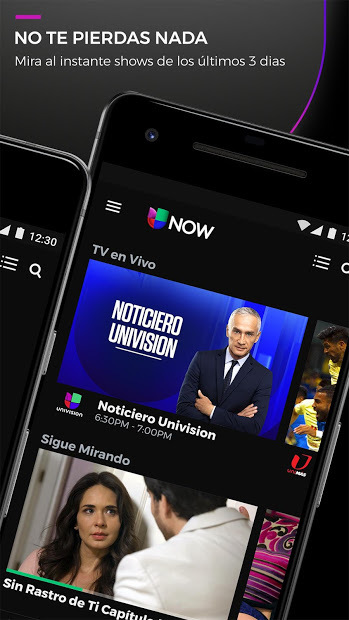 Never miss the popular programs of Univision, such as Por amar sin ley, Dogma, La Piloto or El Rico y Lázaro. Enjoy the live action of the sport and keep up with the local news. All this from the palm of your hand or sharing your content to the TV with your Chromecast device. 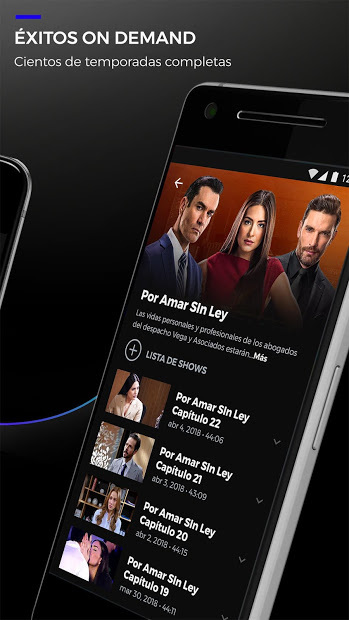 In addition, you will have access to complete series of classic telenovelas such as Amores verdaderos and La Rosa de Guadalupe. Or live the excitement of the best football with exclusive matches of the La Liga MX, USMNT, MNT and the UEFA Champions League. Note: The application is free and have a 7-day trial with access to all content. The content is in Spanish.